And Loughborough Lightning left it late to win their second game in a row by a single goal, to see-off a stubborn Severn Stars 54-53. Despite the defeat, Stars head coach Sam Bird said: “A huge thank you to our squad for the outstanding performance they put out. Bath’s tight 51-47 win over Strathclyde Sirens on Friday kept them in the hunt for a top four spot, while Saracens Mavericks leap-frogged Wasps into second with a professional performance over Surrey Storm. Loughborough Lightning made hard work of their defeat of Stars, who could – and should – have taken the home win if they had not left it until the final quarter to catch up, when they outscored their visitors 14-7. Desperate to avenge that home loss on 6 March – their first defeat of the season – the defending champions stayed in touch with Thunder, shrugging off the pressure of a vocal and hostile sell-out home crowd and took a lead into the final quarter. 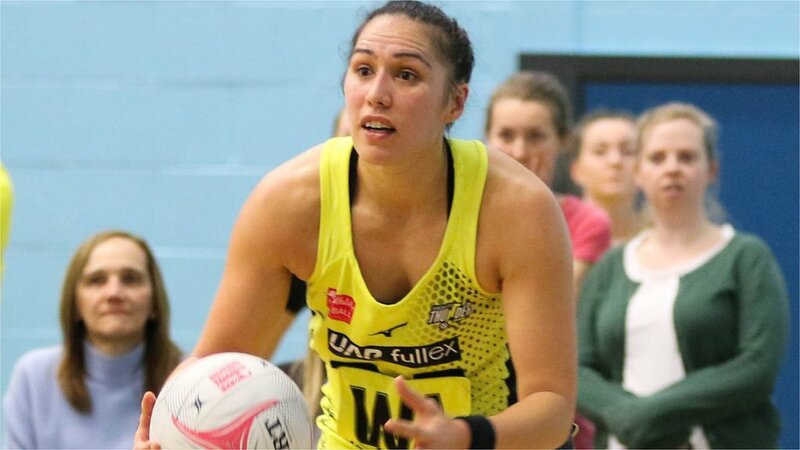 As a triumphant Thunder celebrated, a dejected Wasps will want to bounce back quickly in their next game against bottom side London Pulse on 31 March. Pets can be a welcome distraction after a long day at work, they can provide you with love during your recovery from injury, as Manchester United forward Alexis Sanchez often displays on his social media with his dogs Atom and Humber, and in netballer Jade Clarke’s case, to offer comfort after a horrible loss to her former side. England and Wasps centre-courter Clarke had just suffered a one-goal defeat to Thunder in her hometown, and her automatic response was to retreat to her dog, Oscar. Looks like Oscar was more interested in where his next meal was coming from, however.